In these challenging and uncertain times you may be feeling fearful, sad, angry and uncertain about your future, the future of your family and of the planet. You may be feeling there is little or nothing you can do to make the world a better place. I believe there is much each of us can do to be a force for good in the world, and it’s easier than you think. Learning about change, how you respond to it and how to navigate it, are important skills and tools to have in these challenging and tumultuous times. Based on more than 25 years of consulting and coaching with people and organizations on 5 continents including living and working in conflict zones and managing uncertainty, I’ve developed the Art of Change framework. This framework is a proven model for embracing change whether it involves getting unstuck and moving forward when change is imposed on us, or whether we choose to initiate a change in our beliefs, attitudes and/or behaviors. The Art of Change is based on the belief that embracing change is a creative process that opens us up to new possibilities. Think of the times in your life when change was thrust upon you; e.g. you were laid off; or when a boyfriend/girlfriend broke up with you. At that time, you may have felt caught off guard, angry, fearful and uncertain about the future. On reflection, these changes opened you up to a new and better relationship or a position more aligned with your values and talents. Embracing change enables you to let go of patterns that are no longer serving you and to move forward with confidence, clarity, improved health, happiness, fulfillment, and inner peace. 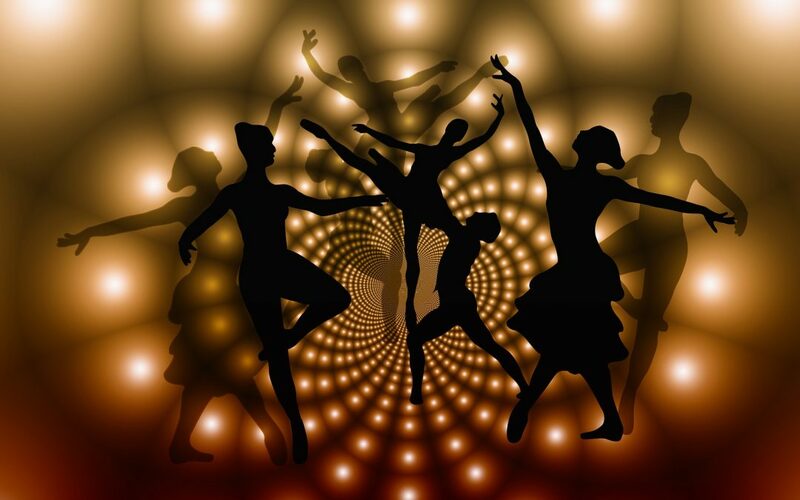 Consciously Share Your Dance with the World –Observe the positive changes in yourself, how others respond to you, and the positive impact you have on your family, friends, communities and workplaces. Stay tuned for my next post where I will share more about the Art of Change framework and how you can embrace any change with less stress and greater understanding, and at the same time be a positive force for good in the world. I welcome your thoughts and comments below and appreciate you sharing the article with others. Someone once sais that the only things that we can count on are death and taxes. All other things are subject to change. Knowing how to navigate change is essential for a happy life. Thanks for the info and all of your hard work. Hi Barb, Thanks for sharing your wisdom. I appreciate your feedback. Learning to navigate the constant flow of change in our lives is a valuable skill and practice. Thank you for sharing what you have discovered to be helpful guiding others along their own journey through change. Hi Barb, Thanks for your wise words. I appreciate your feedback. Hi Kara, It is so true. Learning to navigate change is indeed ” a valuable skill and practice”. Thanks for your feedback. As a longtime dancer, this framework resonates with me. Practice, practice, practice! Yep… Thanks for a great post. Love it Miss Pamela!! Keep your posts coming!! I just found out that I am going to be a Gee Gee!! Exciting and scary… miss you!! Thanks Sherry! Happy you resonated with the post. How exciting that you’re going to be a grandmother. Congrats!